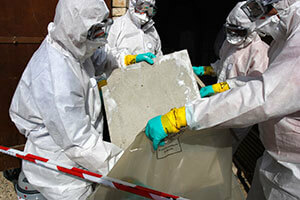 The findings of a recently conducted review of one of Telstra’s asbestos removal contractor has been damning. The findings were released by Telstra as it embarks on their mission of rolling out the National Broadband Network (NBN), including old pits containing asbestos. All remediation work was halted in May following a variety of mishandling complaints throughout several sites nationally. Telstra’s review of its key contractors found that changes were needed in several areas, such as increased supervision and ensuring adequate supplies. Telstra’s COO Brendan Riley revealed the company’s intentions to ensure that mandatory standards are met for training staff on the extensive asbestos risks. 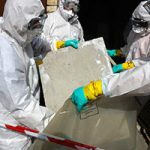 “We will continue to be open about the status of these issues and the work we are doing to strengthen contractor management of asbestos handling,” Mr Riley said in a statement. Opposition communications spokesman Malcolm Turnbull says it highlights the risks with large projects. “One of the risks with a very large project like this, which is disturbing a lot of asbestos-containing material at the same time with the dramatically increased workforce, is that it’s much harder to maintain standards,” he said. Telstra is consulting with unions and Comcare over the implementation of the plan.